Find your photo Paper Canson Infinity. In Totenart we have the full range of Paper Canson Infinity Arches Velin Museum Rag for digital printing. Infinity Velin Museum Rag, 250 gr., A4, box 25 sh. Infinity Velin Museum Rag, 315 gr., A4, box 25 sh. Infinity Velin Museum Rag, 315 gr., Roll 0,61x3,05 mts. Infinity Velin Museum Rag, 315 gr., A3, box 25 sh. 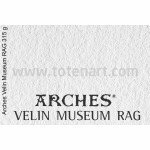 Infinity Velin Museum Rag, 250 gr., A3+, box 25 sh. Infinity Velin Museum Rag, 250 gr., A2, box 25 sh. Infinity Velin Museum Rag, 315 gr., A2, box 25 sh. Infinity Velin Museum Rag, 315 gr., Roll 0,432x15,24 mts. Infinity Velin Museum Rag, 250 gr., Roll 0,61x15,24 mts. Infinity Velin Museum Rag, 315 gr., Roll 0,61x15,24 mts. Infinity Velin Museum Rag, 250 gr., Roll 0,914x15,24 mts. Infinity Velin Museum Rag, 315 gr., Roll 0,914x15,24 mts. Infinity Velin Museum Rag, 315 gr., 610x914 mm., box 25 sh. Infinity Velin Museum Rag, 250 gr., Roll 1,118x15,24 mts. Infinity Velin Museum Rag, 315 gr., Roll 1,118x15,24 mts.